Dubai Tram, used by 1.3 million riders in the first quarter 2016 alone, is going to get an expansion. Phase 2, date of which has not been disclosed, will take riders across to tourist destinations such as Burj Al Arab, Madinat Jumeirah and Mall of the Emirates. 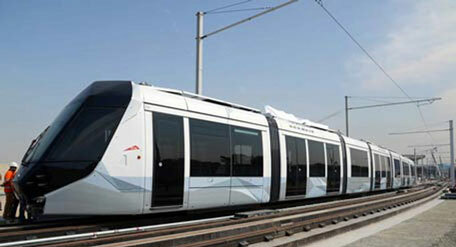 “Dubai Tram is also set to grow with phase 2 of the project. The success of current tram has encouraged us to look into extending the line up to 5 kilometres covering more iconic destinations,” Abdul Mohsen Ibrahim Younes, CEO of Road and Transport Authority’s (RTA) Rail Agency told Emirates 24|7 at the Middle East Rail conference held last month. “We will begin the design and study of the Tram extension very soon,” he added. In a statement issued on Monday, Younes said: “This rise in the ridership of both, the Metro and Tram during the first three months of this year, is indicative of the appeal of these modes to residents and visitors of Dubai. Nearly 50 million people journeyed aboard the Dubai Metro in the first quarter, RTA said. Emirates 24|7 reported earlier that the RTA is looking to extend the Green Line from the existing Al Jaddaf station to Academic City, adding a rail line of 20.6 kilometre and 11 stations both underground and above ground. The current Green Line has 18 stations of which 12 are elevated and six underground. Union Square and Khalid Bin Al Waleed underground stations are transfer stations where the Green and Red Lines junctions. In March 2016, this website reported that construction will commence on the Route 2020 – the extension of Dubai Metro Red Line – with the RTA awarding the construction contract shortly. The new route will take connect the Expo 2020 site to Nakheel Harbour and Station on Sheikh Zayed Road.